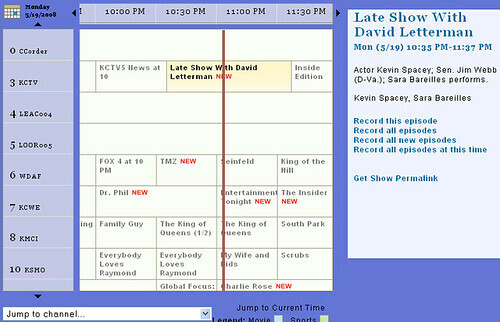 Ajax-style, scrollable Couchville-style program guide in the web interface (see screenshot above for an example). Note that Couchville was a very popular TV Guide site by Snapstream that they pulled and have now included with all licensed copies of BeyondTV (beta only for now). Library Folders now have permissions attached (you can block/allow groups from using specific folders). Good for parental control, or for separating one users shows from the other. Snapstream is asking for anyone interested to join in the testing fun with the Beyond TV 4.8.2 beta. You can sign-up and you’ll be able to immediately download & test the most recent public beta version of BTV. The current private beta of Beyond TV is also running and supports recording unencrypted QAM (aka clear QAM) on Hauppauge devices such as the HVR-1600, HVR-1800, HVR-950Q, HVR-1250, and HVR-1950. Unlike the public beta, the private beta requires that you apply for the private beta program. Snapstream is looking for private beta testers with the above QAM devices - if interested, e-mail matt@snapstream.com with the subject line “I want to test Beyond TV with QAM”.